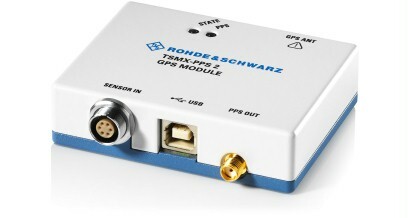 The R&S®TSMX-PPS2 is a GPS receiver module with time synchronization pulse/PPS output and automotive dead reckoning (ADR) for high-precision measurements, e.g. in combination with the R&S®TSMx drive test scanners. 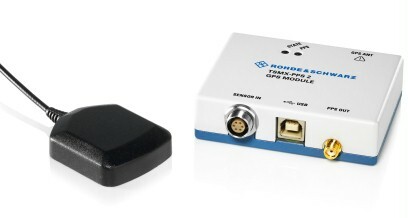 Configuration 2 and the R&S®ROMES4LOC option from R&S®ROMES4 can be used to accurately locate all relevant types of base stations (GSM, WCDMA, LTE, CDMA2000®, EVDO, WiMAX™, TETRA). 1) Sensitivity with supplied antenna. for "acquisition and reacquisition" and tracking. Cold start requires higher signal level. 2) Circular Error Probability (CEP): radius of a horizontal circle at the true antenna site that includes 50 % of all position calculations. 3) Measured with good satellite view and -130 dBm signal level.